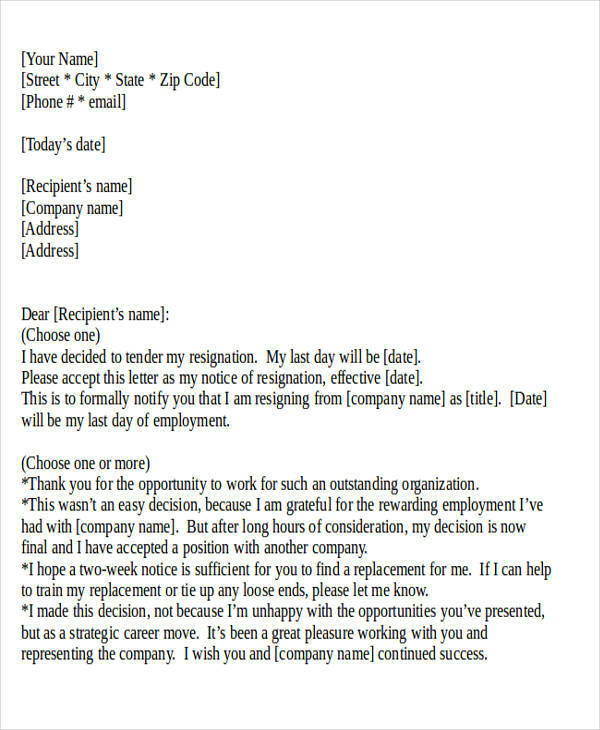 You will find five one-day sample letters for resignation that will definitely help you out when it comes to letting your employer know why your resignation needs to be urgent. One-day resignations are considered to be immediate ones. These types of resignations are not encouraged because of the inconvenience it may cause your employer, but there are certain circumstances that may need you to leave your job in an urgent manner. Your reasons may not be stated in your letter, but situations such as a family emergency, illnesses you are going through or a family member might be facing, or other reasons might cause the urgency. 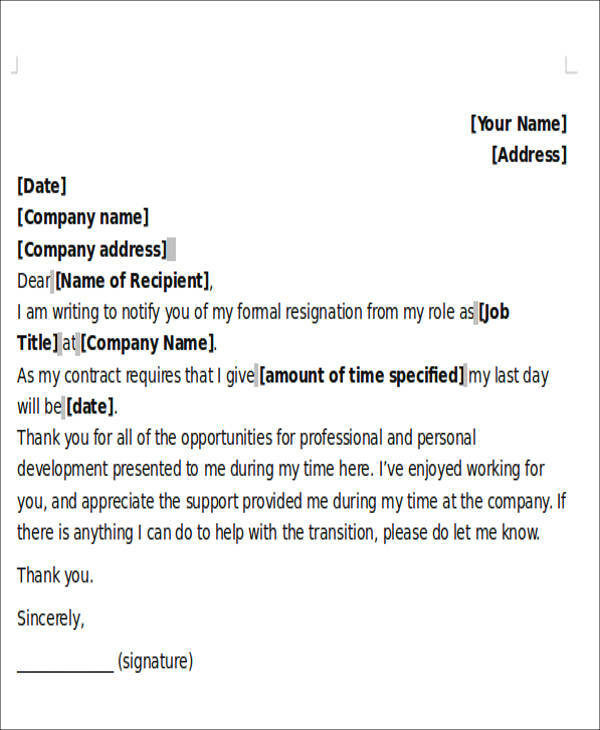 The templates that are featured in this article will help you write a resignation letter that your employer will easily understand. 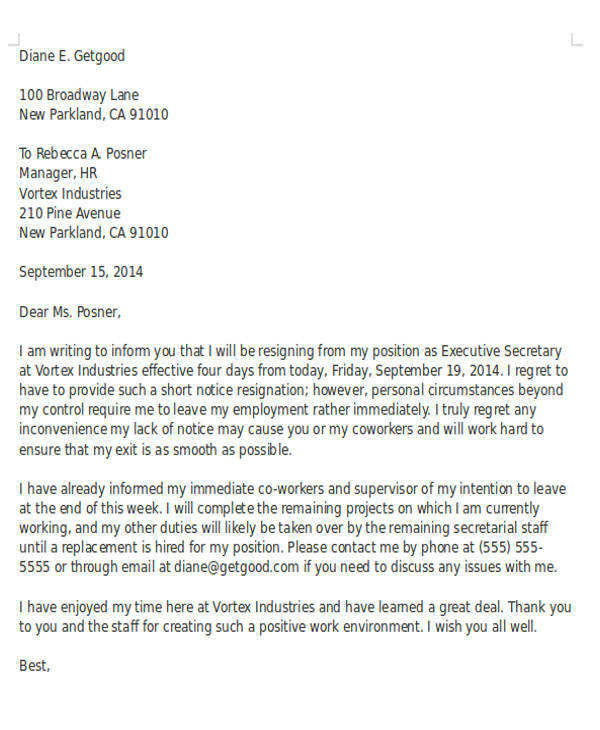 1. the basic details such as name, job title/position, the date when the letter was sent or written, the name of the receiving party;You may also see sample manager resignation letters. 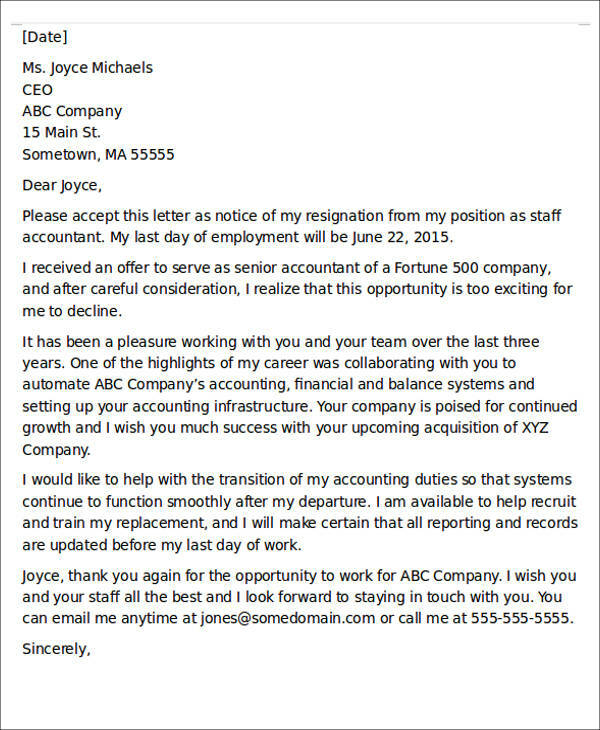 Leaving your job is a difficult decision to make. You have to weigh the pros and cons brought about your resignation and you also have to consider where you want to be once you leave the company. But always remember that properly exiting a company will always be better than not going through the proper means of leaving your job in a company. It will be both beneficial for you and the company as both parties will be able to file for all the necessary paperwork needed to complete the resignation process.you may also check out sample membership resignation letters. The samples are available in PDF and Word Document file formats, which are easy to use for editing and as a guideline to making your own. They can help save you time when it comes to writing one since you need not make one from scratch. These are also all downloadable for free. 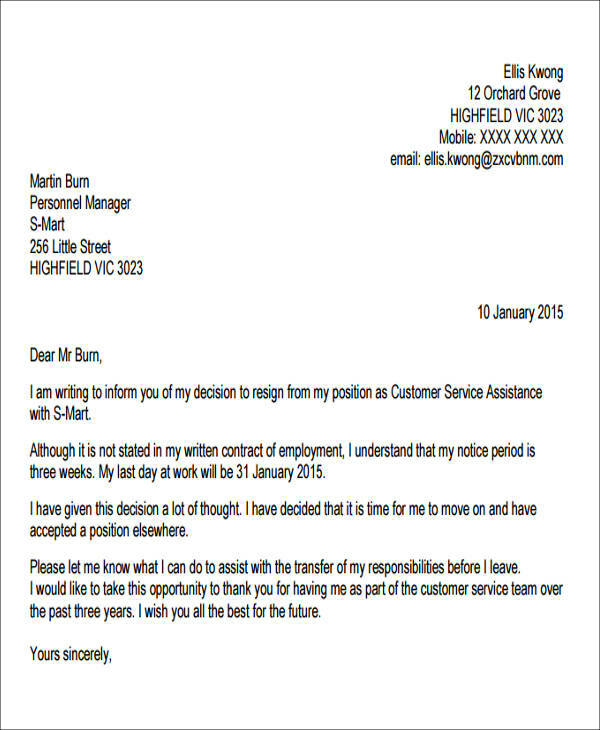 Once you have already customized your own resignation letter, you may opt to hand these to your employer personally or send your document via e-mail email resignation letter samples.